Spain is the top destination for teaching English in Europe. Famous for its beaches, festive culture, and delicious foods, Spain is very popular with British ESL teachers looking for better pay and a sunnier lifestyle. North American teachers who hold an EU passport or apply via the MoE are also eligible for work in Spain. 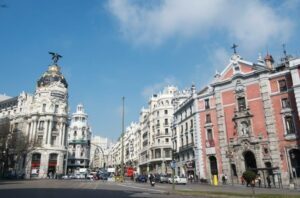 This Teach English in Spain Guide by OnTESOL will tell you more about each city, give you tips for job hunting in Spain, and help you prepare for the job with the right TESOL certification. Madrid is divided between the old and the new. The old part of town has the most beautiful architecture and offers the best tapas experience! Madrid is the perfect place to teach English if you love art. The Prado museum is one of the world’s most popular museums and hosts some of the most beautiful Picasso paintings. If you are a football fan, Real Madrid is one the world’s finest football clubs and important matches are held here, including Champions League rounds and the classic match against Barcelona. 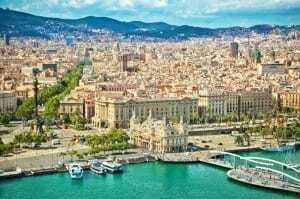 Famous for its night life, beautiful architecture, friendly people, and beautiful Mediterranean beaches, Barcelona is a great place to teach English. Live and breathe the wonderful architecture of Antoni Gaudi: La Sagrada Familia, Park Guell, Casa Mila, Casa Batllo, and Casa Vicens are some of the most artful architectural sites in the world. If you love the game of football, you cannot miss a game of the Barcelona Club, which has won the European Champions League three times in the past decade. Superstars like Maradona, Ronaldinho, and Messi have worn the ‘bluegrana’ jersey. 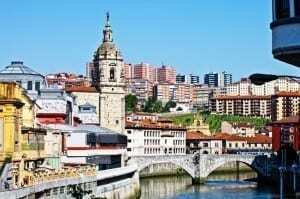 Bilbao is a great city for teaching English if you want to experience the rich Basque culture and all it has to offer in the arts, architecture and gastronomy. Bilbao is also a great place to teach English if you like to surf all year-round and ski or snowboard in winter. Valencia is Spain’s third largest city and one of the most beautiful Mediterranean cities in Europe. Valencia plays an important economic role in Spain because it has the 5th largest port in Europe and a large influx of tourists from all over the world. Teaching business English in Valencia is highly recommended. 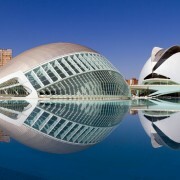 Valencia is known for its traditional paella and a large number of modern museums in the sciences and the arts. 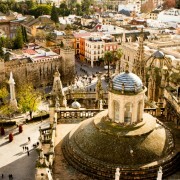 Sevilla is the city to go to if you want to teach English in sunny Andalusia. Ever since the Moorish era, Sevilla has flourished with some of Spain’s most beautiful architectural sites. The Mediterranean food in Sevilla is amazing and the nightlife even better. Beautiful beach towns such as Tarifa, Conil, Nerja, Bolonia, and Burriana are just an hour away.